With the agilia graphical programming workshop you have a complete intuitive system for creating your HMI screens and your PLC program. 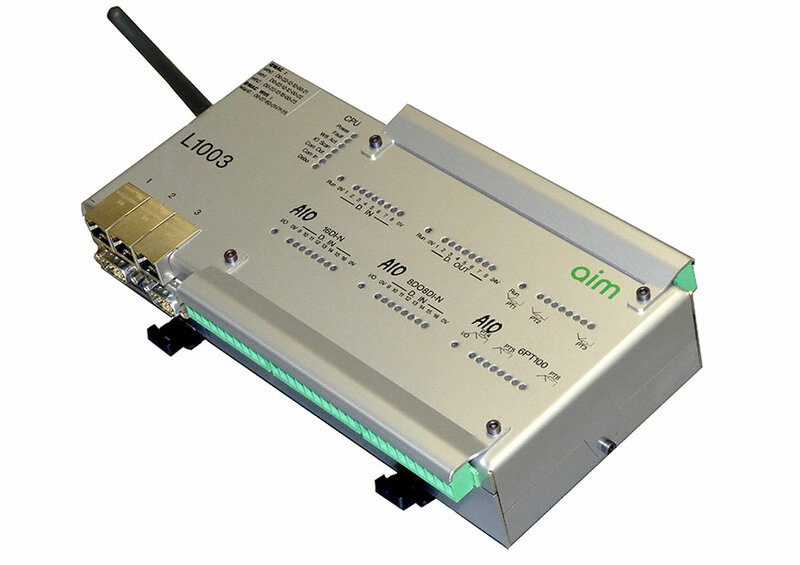 This new family of PLCs operates under LINUX and meets the specifications for Oil & Gas sites. These devices with their 48 I/Os can be managed over the cloud. 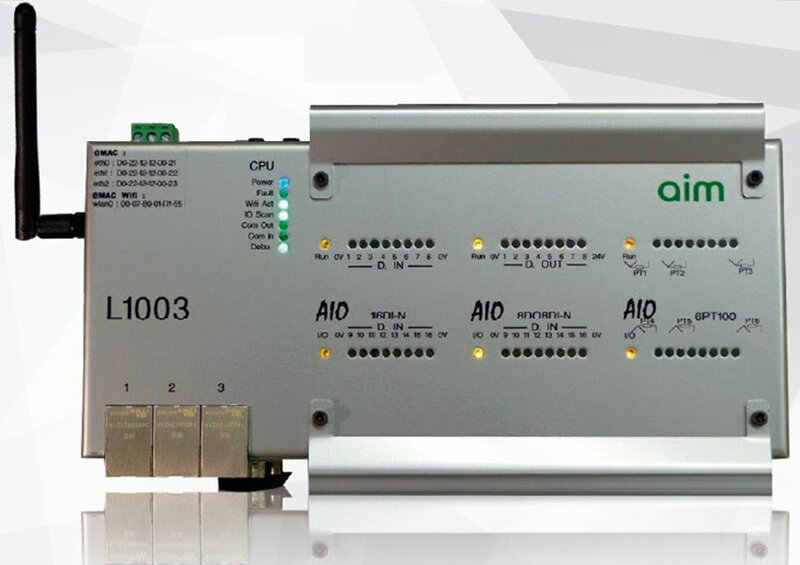 The L1003 consists of 3 I/O modules which can be chosen from the list of AIO System modules. 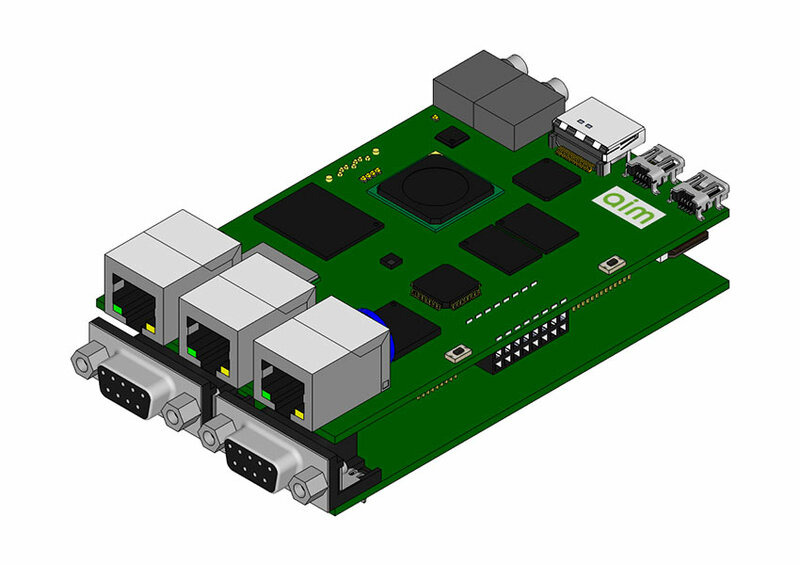 Highlights: Excellent communication features with three 100 Mbps Ethernet ports, 1 WIFI port, 1 GPS port, 1x RS232, 1 x RS485 Modbus, 2 x CAN and HDMI. 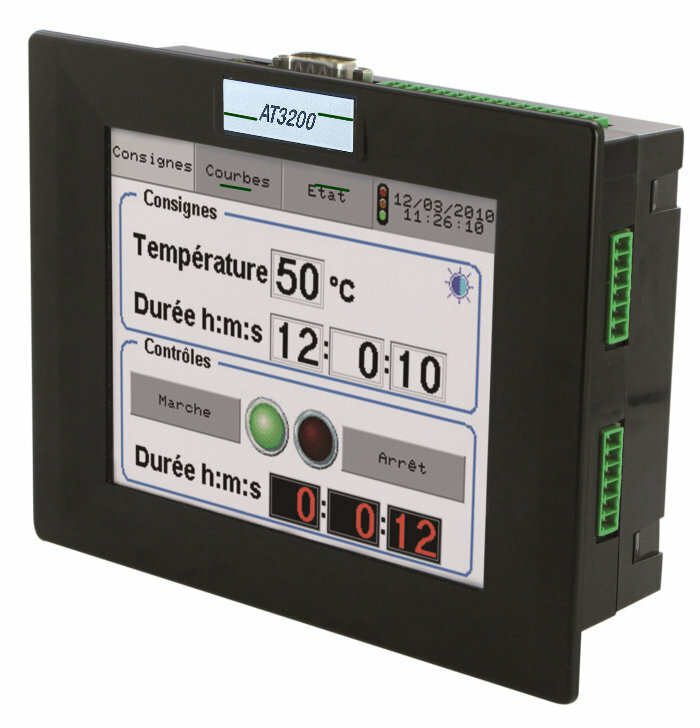 The AT3200 is a touch controller with a 5.7″ VGA 640 x 480 display. It is distinguished by its powerful CPU and the modularity of its 27 digital I/Os, thermocouples and analog inputs directly configurable in the product. Highlights: Multiple Agilia SQL function blocks for data archiving, 10/100 Mbps Ethernet, RS232, RS485 and CAN communication, USB data storage and 2GB NAND flash.